For centuries, Persia, or Iran, has been considered the center of weaving in the Middle East. A huge variety of rug types and qualities come from this country. 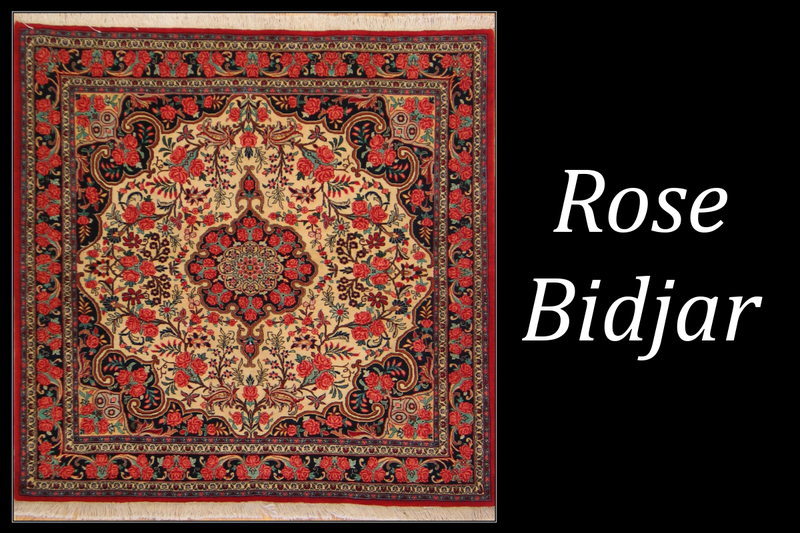 One of the most well known and strongest types of Persian rugs is Bidjar. Among the finest rugs woven in the world, Bidjar is a classic Persian design that hails from the Kurdistan region of Iran. 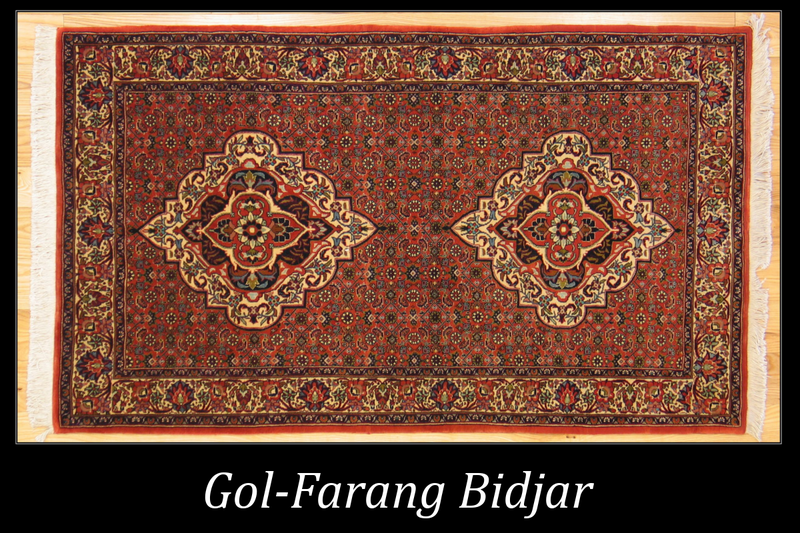 Often referred to as the “Iron Rugs”, Bidjar are woven to be the some of strongest rugs in the world. What makes a Bidjar so strong? A combination of excellent wool quality, high knot counts, and very dense weaving. It is commonplace to see Bidjar carpets well over 100 years of age and most produced today will last a century or longer even under heavy use and traffic. Contemporary Bidjar are generally woven in one of three different patterns. Mahi / Herati, Gol’farag, and Rose. Most commonly the Mahi / Herati or “Fish” pattern. This consists of large diamond shaped medallions that step outward from the center filled with a complex repeating motif within each. The larger medallions represent a pool of water and the concentric circles that form after a pebble is thrown into it. The smaller repeating motif is a highly stylized represent a fisherman in his boat who saw two fish swimming around the reflection of the moon. 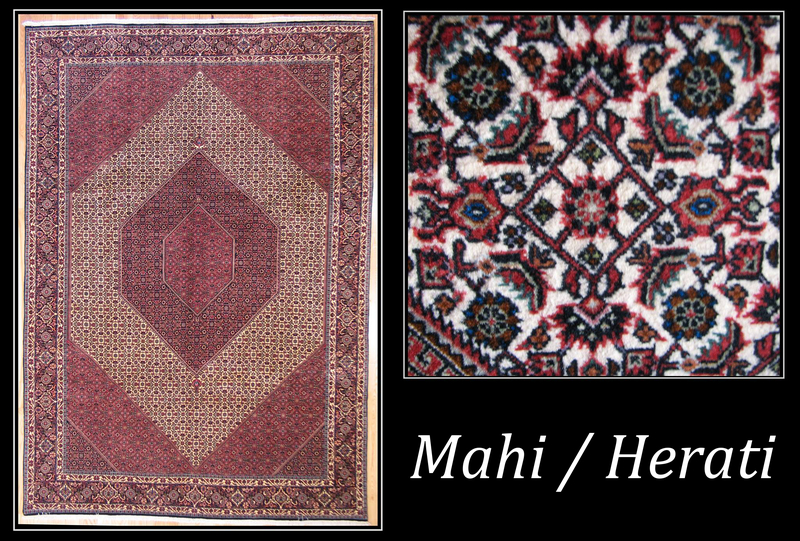 This motif, known as Herati, is used often in many different Persian rugs. Second most common is Gol-Farang. In English, Gol-Farang means “Foreign flower” these rugs rely heavily on traditional Bidjar motif and structure but usually will have medallions that are much more decorative and floral in their structure. In fact, the medallions in such rugs take their influence from more European design. This creates a rug that seamlessly blends the Persian and European design into one. Lastly are a type of Bidjar known as “Rose” Bidjar. These in take heavy influence from European motifs and were in fact, back in the late 19th century, done for the European marketplace. With time, the people of the region adopted the patterns and today they have worked their way into the lexicon of traditional Bidjar rugs. We hope you found this article informative. Always remember that Serafian’s is here for all your rug needs.